Maybe the bride and the groom already have a good picture of what they will wear as they both take their places at the altar. 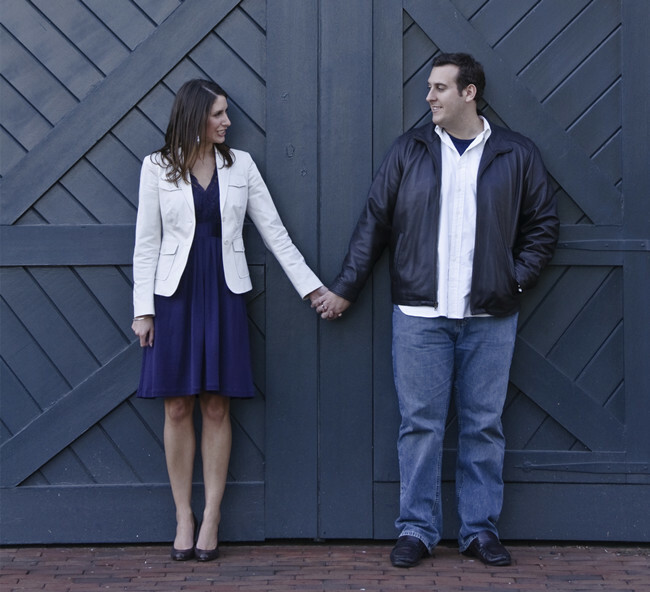 However, thinking of their engagement photo shoot outfits can actually be a much trickier task! 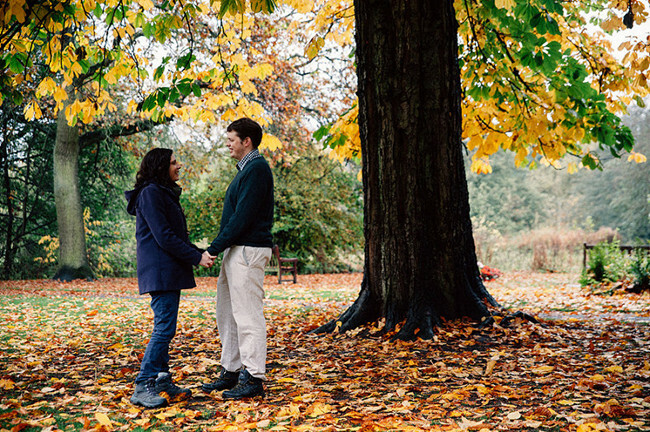 If you are still on the fence about how to dress for engagement photo, read through our guide to pick out a no-fail rack of outfit changes for the perfect love photos! 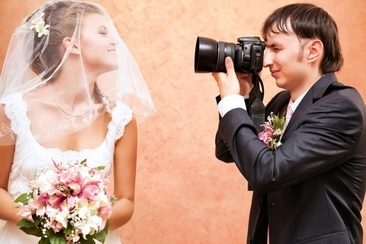 These are the sweet photos all of your wedding guests are waiting for. Don’t be concerned with being overly theatrical and just be yourselves! A good idea for clothing is to pull out from your closet, for something truly you! You will be asked to do quite a number of poses, and it’s really unpredictable what ideas will suddenly pop up on set! So dress comfortably, dress for the weather, and don’t go overly dressy. It would be very awkward if you went in your favorite summer casual dress and he went in black tie. Talk about how to dress for engagement photo beforehand and pretend it’s a date with a dress code! Your outdoor settings would look perfect if you could dress for the season! Autumn coats and knit scarves look awesome among the fallen leaves, and floral dresses and linen look so comfy among the spring flowers. Be careful about blending into the background too well! You still want to look like the star of the shoot, so be careful about that. Choose your colors and patterns very well. Alongside dressing for the season and surroundings, you would like to choose proper fabrics too. It might be a good idea to go with wrinkle-free material like jersey, chambray, or wool. Go all out with the outfit choices, if you’re really on the fence about what to wear! To save time and effort, just bring a few paired outfits and change during shooting. 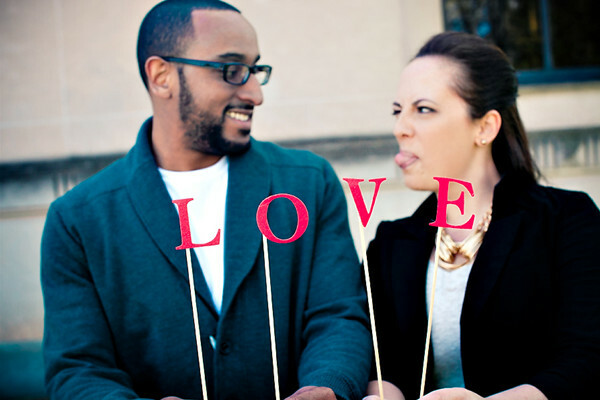 This photo shoot celebrates you, the person in love, ready to commit herself fully. Wear your most flattering clothes and you will be a beautiful and handsome pair, no doubt about that. 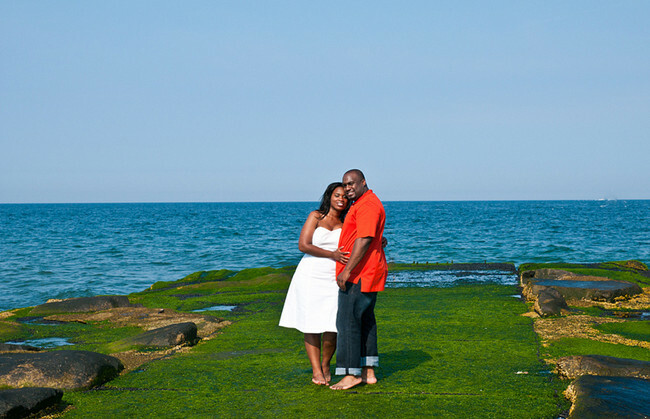 Engagement photos are usually taken in a beautiful outdoors setting. While the lighting will be natural and wonderful, you want to look very healthy and bright. While a visit to the dermatologist could help, brighten your skin by using complementary shades in your outfit is a great idea. 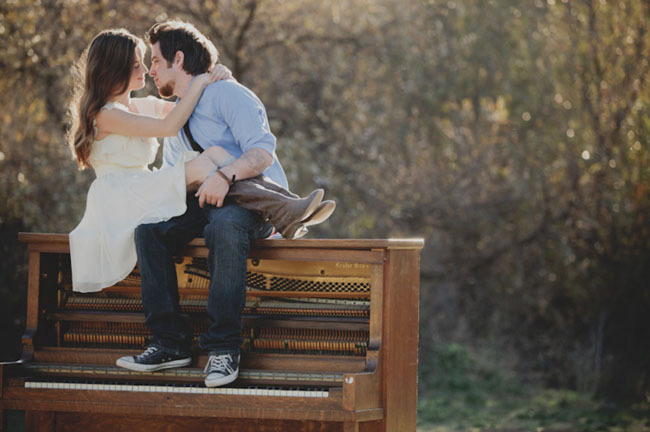 If you had a theme in mind for your wedding, it might be a good idea to incorporate that into your engagement photos. It brings an overall finish to your final photo album, after all! How to dress for engagement photo? It is the time to show off the favorite parts of your body! If you are proud of your toned arms, bare them in sleeveless outfits. If you’re known for your killer smile, take shots that focus on your faces also. Make sure you don’t hide it! Full body shots will have many great uses in the future, possibly for photo albums and photo manipulations. However it is a good idea to show off your dashing shoes for a 100% look at what you have chosen to wear. Layers look good, adding a new depth and interesting flavor to your characters. They are also an easy way to switch up your outfit in a matter of seconds. We are sure you are both natural beauties, but a little make-up never hurt anyone. A little color is just meant to enhance features on the photos. 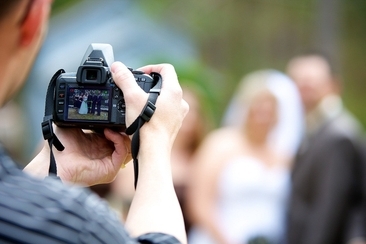 A lot of factors come into each picture, so your face should look pristine for those shots! Don’t forget to communicate with your partner when discussing what to wear. You do not want to clash in color, print, pattern, and so on; it won’t look good on film and you’ll be judged as a couple! Your shoes will get caught on film! Think about what socks you should also properly match your outfit and shoes. These are important details and you might need to go out and buy new ones just for it to look right in photos. It would be cute for you to bring props to recreate some wonderful scenes. From the first date to the engagement day, a few props can change the scene in all simplicity! Balloons, signs,doily garland, you can bring anything you could think of. Do not wear exactly matching outfits. You do NOT want to be known as the Oompa Loompa couple. Do not wear brand new clothes. You will be uncomfortable and full of regret. Do not wear clothes that restrict your movement. You will only have yourself to blame if you can’t do a certain pose or the dress accidentally rips. Do not wear clothes with large patterns or logos. This often just washes you out. Do not wear neon colors. It will look strange down the road when you pick up your old wedding album – you should have kept it simple. Do not forget the ring. 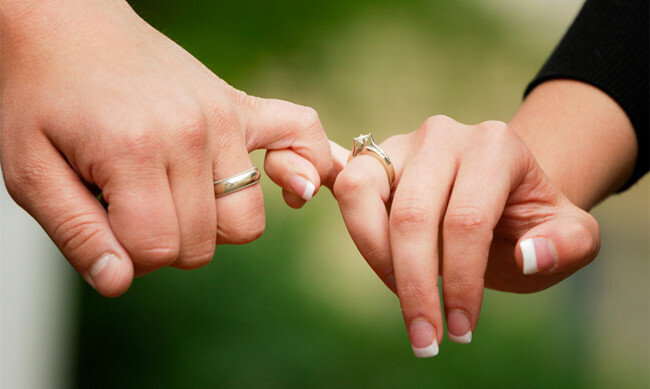 Remember to include the ring in your engagement photos – emphasis on engagement! Do not wear clothes that are too trendy. Girls with a good fashion sense probably don’t worry much about how to dress for engagement photo. But remember that clothes for engagement photos should include classy and timeless pieces, not fads that could die out soon. Do not wear fussy earrings. They will just get into the way and obscure your lovely face. Do not wear super short skirt. This will be difficult to move in and can potentially create underwear peek-a-boo moments. Do not make major change to your hair and makeup. You still want to look like yourself, first and foremost, so make-up should be light and enhancing only. Do not wear white socks that peek out of your pants. That’s a fashion mistake! It not only looks wrong, but will make people think you were born yesterday. What a faux pas! Do not wear T-shirts and old tennis shoes. This is just absolutely too casual and will look strange within your wedding slideshows and photo albums. Do not wear large shirts. 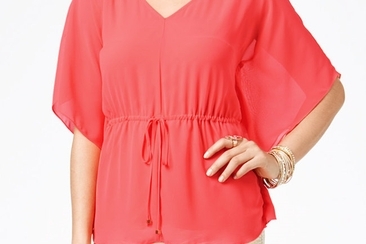 These large shirts just wash you out and make you look less confident. Get proper fits and you should be fine. 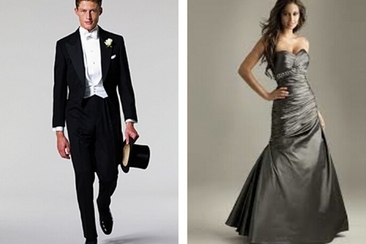 What to wear to a wedding reception for both women and men? For different occasions and seasons? Here are rules and tips to help pick the perfect and most suitable outfit. Do Photographers Eat at Weddings? Do photographers eat at weddings? 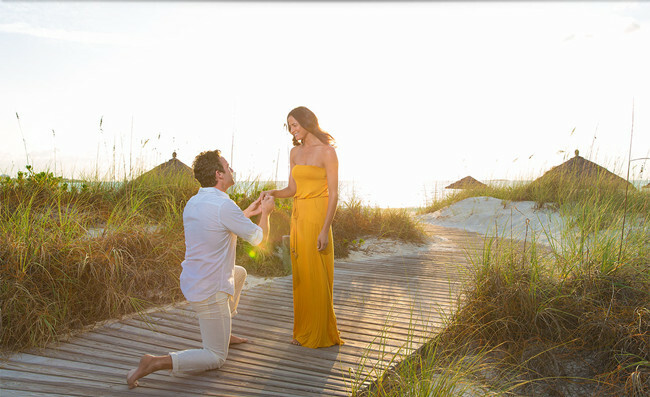 The short answer is yes, but it can vary so that you can ask your photographers in advance. Then, know what and when to provide meal for them.